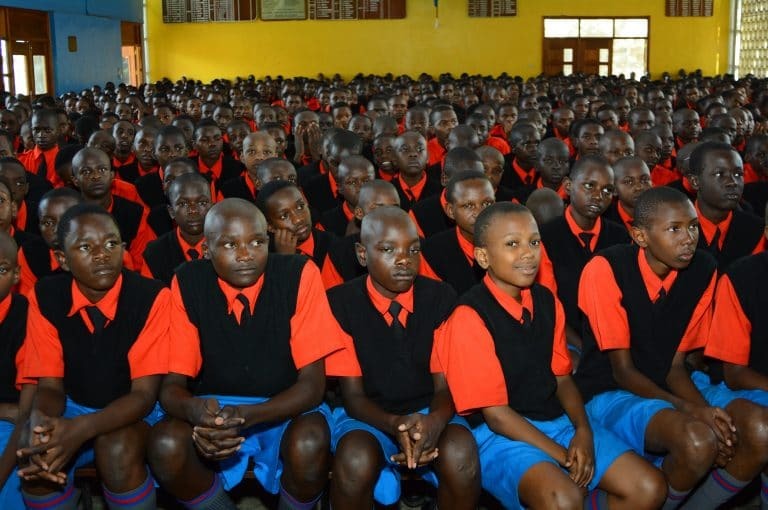 In April 2018 the Ministry of Education and National Hospital Insurance Fund (NHIF) entered into a contract to offer a unique comprehensive medical insurance cover for public secondary school students. The insurance covers students for the duration of full-time study at public secondary schools. The students started accessing services from May 1, 2018. For eligibility, a student must be enrolled in a public Secondary School and is in the National Education Management Information System (NEMIS) database. The student should be registered with NHIF. Only the Student shall be covered under the scheme and not a dependant. Already, NEMIS data for 2.2 million students has been provided by Ministry of Education (MoE) to NHIF. The data has been uploaded into the NHIF database and NHIF member number issued to the learners. NHIF branch offices shall carry out Biometric registration of the students in the schools and issue biometric cards. Form four (4) Students shall be exited from the scheme upon completion of KCSE exam. Outpatient services shall be guided as per KEPH level. It shall cover; outpatient consultation, diagnostic laboratory and radiology services, prescribed drugs and dressings. Chronic, pre-existing conditions, day care specialized surgery shall also be covered in the scheme. Inpatient services covered shall include hospital accommodation charges, pre-hospitalization diagnostic services, doctor’s fees, medication and internal surgical appliances, diagnostic services, rehabilitative services, operating theater services, radiological diagnostics e.g. x-ray services, CT scan, MRI and ECG. In dental services, the scheme shall cover dental extraction which includes surgical extraction, anesthetic fees, hospital and operating theater cost. It shall also cover root canal, dental X-ray services, accident related inpatient dental cases will be covered under the standard inpatient surgical benefits. Exclusions: The cover does not include the cost of replacement of old dentures, bridges, plates and Orthodontic treatment of cosmetic nature. It shall cover consultation, eye testing, prescription for ophthalmic treatment and prescription of eye spectacles (need for review, many students require this for quality learning). Accident related inpatient optical cases will be covered under the standard inpatient benefits. The scheme shall cover emergency road ambulance, ambulance services for transportation and transfer of a student for treatment from a place of incident or facility where adequate care is not available to the next available NHIF accredited hospital. Air rescue services will also be provided for transportation and transfer of a student from a place of incident or facility where adequate care is not available to the next available NHIF accredited hospital. The scheme shall cover treatment costs arising from a condition that warrants treatment overseas when the treatment is not available in Kenya or as advised by a medical practitioner. It will however be subject to pre-authorization from NHIF and other relevant bodies. Last expense, group life cover & group personal accident cover NHIF shall upon death of a student, pay to the next of kin or such other person as directed, the amount specified in the limits within two (2) days to cater for the funeral expenses & five (5) days for death benefit. Form can be downloaded from the NEMIS portal or from the nearest branch. The Principal will fill out and sign part (I) of the form, then the CDE will fill out and sign the second part. MoE will forward the complete form to NHIF to make the payment. Expenses incurred by a member as a result of this insurance cover shall exclude cosmetic or beauty treatment and/or surgery, laser eye surgery , frames and lenses, massage (except where certified as a necessary part of treatment following an accident or illness) and treatment of any injury, disease or illness arising from a specified exclusion. All students will access benefits in line with the provided list of Health Care Providers (HCPs) countrywide. To access these services, the student shall present: NHIF membership card or (in the case the student is yet to receive a membership card) a letter of introduction to the HCP written by the respective school principal or the designate. The letter should contain name of student, age, gender, name of school and admission number. The above mentioned letter should be duly endorsed and signed by the principal or the designate. There is no waiting period for access to service for new members.